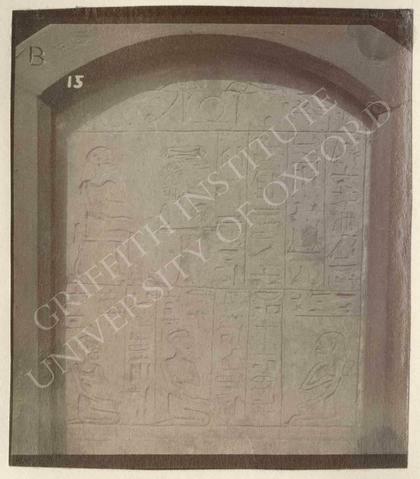 Stela of Mentuhotep Ressoneb, late Dyn. XII or Dyn. XIII, provenance not known, now in Bologna, Museo Civico Archeologico, 1930. Caption copied by Černý in Petrie MSS 3.2: 'Tablet of [Mnṯw-ḥtp] B'.